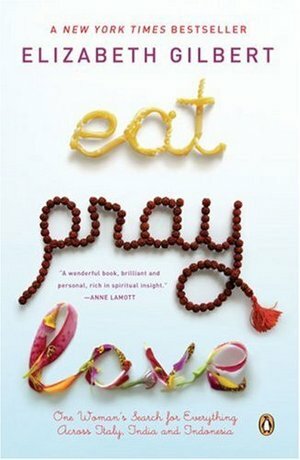 The new, highly successful film, Eat Pray Love is actually based firmly on the Eat Pray Love book by Elizabeth Gilbert which follows the extremely funny, entertaining and enlightening story of a woman's journey out of a crippling depression and into a journey starting in Italy and then into India and then into Indonesia. I won't go to far into the story here and to be honest I feel I may already have said to much but I'll give those of you who have no idea an idea of why Eat Pray Love and now the film are both so popular. The story is based roughly on a true story and starts following Elizabeth's divorce after which she suffers a crushing set of circumstances including manic depression, panic attacks and general confusion. Her decision to leave for a year around the world does not come easy but it does come an d so she sets off to experience some culture. First of all she heads to Italy where she learns to experience and learns to enjoy the pleasures in life. After a few months she heads out to an Ashram in the north of India where she learns to be at one and suffer the hours of silence for a common goal of travellers to India; inner peace. Finally she heads to Indonesia where she spends time with Ketut, a charming medicine man of nine generations who teaches her stay in get in touch with herself, the earth and god. She finds love and the story... well you'll just have to read it and fond out for yourself. Well the Eat Pray Love book is a classic read amongst travellers in India as in a way that it encompasses many reasons why people travel to India in the first place; usually in search of something. For this reason I am tempted to say yes, buy it. It is a great way to get yourself acclimatised to the world of travel and more specifically travel in India and all that it has to offer.